The Queen, the Queen, my lower incisors for the queen. Where is that wretched creature? Оу, и мне даже понравилось! 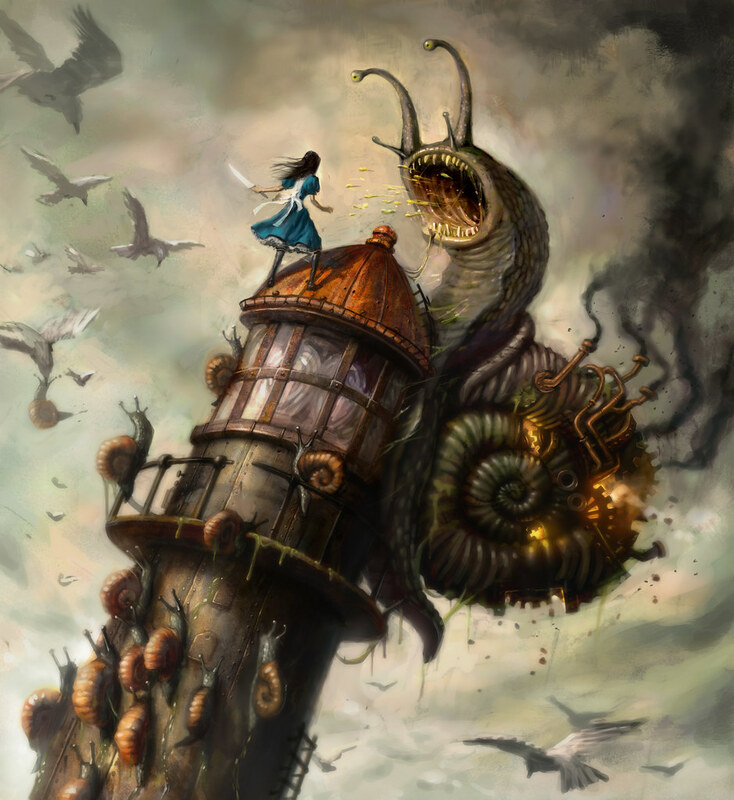 American McGee’s Alice возможно обзаведется второй частью. "This new project is a dream come true for me and the fans who’ve kept the Alice flame alive," said American McGee, senior creative director at Spicy Horse. "EA gave us creative latitude and support on the original game which resulted in something beautiful and daring. This trip through the looking glass promises to be even more exciting." О, я как раз понял чем же мне отвлечь мой убитый мозг. Мы опять летим в норе: опоздаем, не успеем. Тот прекрасный сад теперь - только мрак и запустенье.